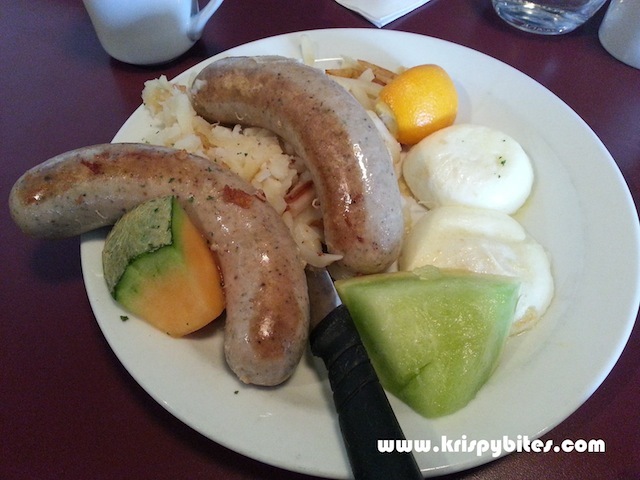 After a meeting in the early morning, a coworker suggested brunch at Barb & Ernie's, a German diner located in a Tudor style house just off of 99 St. The food portions are quite big; the breakfast combo ($13.95) comes with 2 giant sausages, 2 eggs, bacon, ham, potatoes, toast (not seen in pic) and assorted fruit. This was my coworker's dish, but I did try the sausage and it was pretty good. 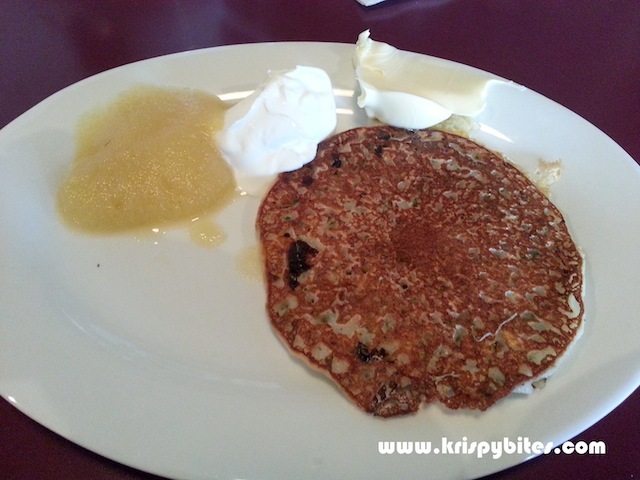 I already had a good breakfast, but didn't want to pass up the opportunity to try something here, so I ordered a single potato pancake (~$3) which came with applesauce and sour cream. It was nicely cooked, evenly browned, and served as a nice comfort food. The breakfast menu certainly offers great value for the price. That's why this place has remained a brunch favourite for years. Ever wander were Barb and I are? I, Ernie work par time at the German Canadian Culture Center.
" cooking and traveling around the globe". You will be seeing my wander full Wife Barb,my 10year old Grandson and myself,cooking around the globe and will be showing you,were this dishes come from. We are uploading Videos every Monday new ones. If you like our Videos,please tell all your Friends about it, as we need the Audience.